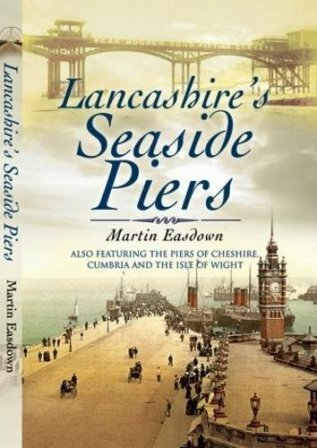 In this, a companion volume to his definitive history of Yorkshire s pleasure piers, Martin Easdown turns his expert attention westward to the Lancashire coast. His highly illustrated survey of the piers constructed at famous resorts like Blackpool, Morecambe, Southport and St Annes-on-Sea celebrates structures that are among the most exuberant and evocative of the Victorian age. Each of these historic piers has its own character and story, yet all of them represent the optimistic style of the British seaside resort at the peak of its popularity. In those days the Lancashire coast, and Blackpool in particular, became the principal holiday destination for the workers of the nearby industrial towns during their Wakes Weeks. The piers that survive are fascinating relics of that lost age. In this meticulously researched account, Martin Easdown describes how these extraordinary buildings came to be constructed, how they were designed and financed, how they were used, and how hazards beset them fire, storm, ship collision, war damage and ever-present threat of insolvency. His entertaining book reveals and records a neglected aspect of the history of Lancashire and the northwest.